As both oprainfall’s resident indie nerd and Nintendo fanboy, it fell upon me to cover the Indie Direct. I wasn’t entirely sure what to expect, cause sometimes the cup runneth over for indie fans, and sometimes it doesn’t. Thankfully, it veritably overflowed today, with nearly 20 games announced for a variety of genres. It was both old games coming to the Nintendo Switch, as well as entirely new and exclusive games. There’s a lot to cover, and a lot of reasons to be excited. So I’ll give a brief snippet of each title covered, in the order they were revealed, as well as release info. Buckle up, boys and girls. First up was an announcement that made me smile and groan at the same time. Creepy milk commercial aside, Cuphead is officially heading to the Nintendo Switch on April 18th. The reason I’m groaning is cause I already bought this on Steam, but would much prefer it on Switch. So I guess Studio MDHR gets my money twice. You can pre-purchase the game as of today, though it officially launches on April 18th, bringing beautifully animated chaos to your system. Next up is Overland, a squad focused, turn-based apocalyptic strategy game. It looks like it has elements of tactical RPGs and a bit of Oregon Trail ethos, where you can’t save everyone. Since it’s set in such a dangerous climate, it shouldn’t surprise you that the farther west you go, the weirder things get. This randomly generated adventure is heading to the Switch this Fall. I’m very happy that My Friend Pedro is finally heading to the Switch this June. I’m even more surprised that they announced it was a console exclusive, since the last time I demoed it, I could have sworn it was also headed to PS4 and PC. Regardless, if you love frenetic, coordinated violence on a comical scale and talking bananas, you’ll love this one. I got to play Neo Cab at E3 last year, and I’m glad to hear it’s coming out soon. This visually distinct game involves trying to reunite with your best friend in a future ruled by a dystopian megacorporation. You’re the last human driver in city overrun by automation, and your job is to drive folks around while staying calm and unveiling the mysteries of the city. Neo Cab is out later this Summer. When I heard this next game was about dog racing, I almost skipped it. 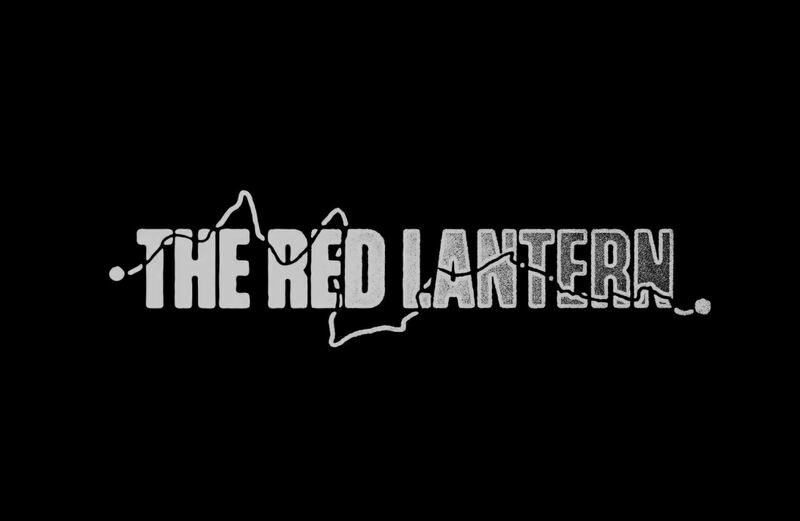 But then I saw that The Red Lantern is narrative driven and has an interesting overall style. Developed by Timberline Studio, in the game you’ll engage in the Iditarod, fight the wilderness, tend your dogs, mend wounds and hunt to survive. Fend off bear attacks and get to your destination alive. Oh and if you like gyro controls, The Red Lantern has those as well. This unique adventure is out later this year. I don’t normally think of top down when I think of survival horror, but Darkwood looks to be a strange and eerie adventure. In this title you’ll craft weapons, explore hideouts and hunker down at night while praying for the sun as monsters hunt you. Darkwood is also procedurally generated, so every time will be different. If that sounds like your cup of tea, it’s out this May. Personally, I adore the style of Katana Zero. It has lush pixelated charm and lots of action. You play as Dragon the assassin. Armed with precognition, you will manipulate time and leave no witnesses. One hit and you’re dead though, but thankfully the game rewinds levels when you lose. And on the random side of things, in between missions you’ll talk with a therapist to get over your demons. Katana Zero is out April 18, though you can pre-purchase it today. I admit I have yet to play any game published by Double Fine (though I do own a couple). But I’ve played many from Bandai Namco, and that’s relevant since this next game is by both. RAD is a top down adventure game where your primary power is the skill to mutate into horrid beasts to fight other horrid beasts. 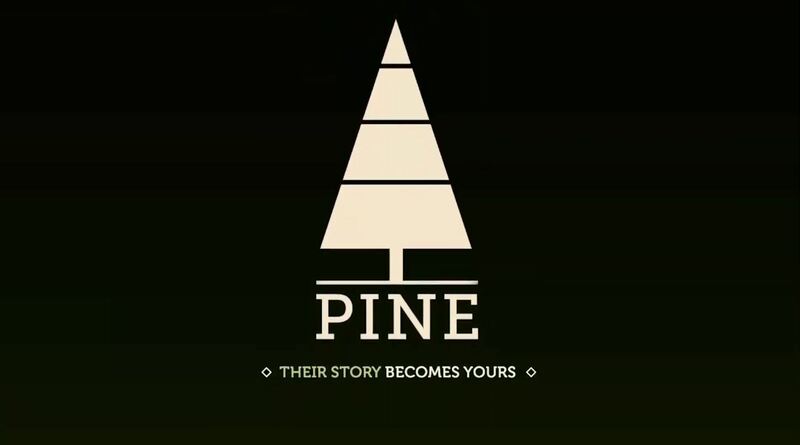 Sounds like my sort of game, so perhaps this will be the first Double Fine title I end up playing. 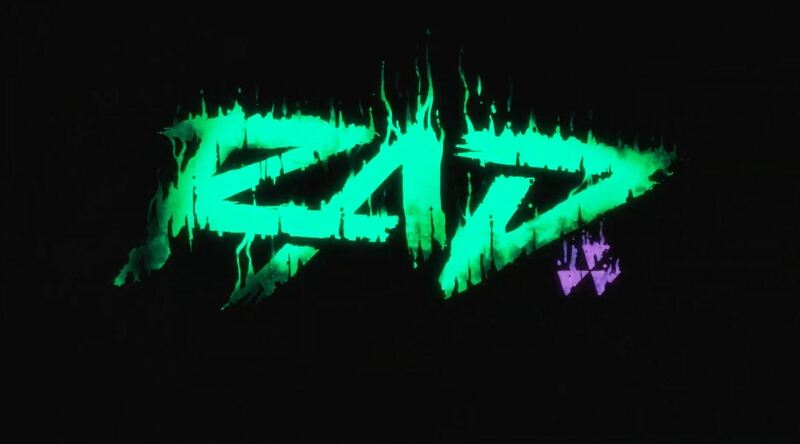 RAD is out later this Summer. If you had told me earlier today a game with a mix of post apocalyptic mayhem and pinball was gonna intrigue me, I would have called you a filthy liar. Well, now I know better, as Creature in the Well seems to mix both effortlessly. It features 8 dungeons, top down action adventure, pinball ricochet mechanics and lots of crazy. A giant creature has trapped your town in a sandstorm, so you have to slay it with over 15 weapons, each with different quirks. This fascinating looking title is out later this Summer. I’m super excited that they announced that Bloodroots is out this Summer. Not only was this game a blast at PAX West, but it’s really a one of a kind action game. Everything in the environment is your weapon, which is good since one hit and you’re a gonner. 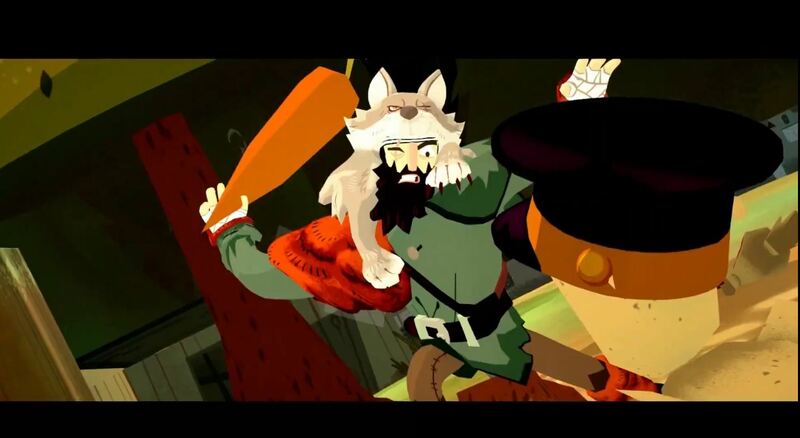 Play as anti-hero Mr. Wolf on his mysterious quest for revenge. Can’t wait til I get my hands on this. Pine gave me all sorts of Redwall vibes. This open world, 3rd person action adventure game adapts to your choices and features lots of strange creatures. Explore miles of terrain and engage with 5 factions of anthropomorphic animal men, including Moose and Gator. Scavenge, barter, harvest and craft this August. Vlambeer got a lot of love, showing off 2 ports and one entirely new title. Super Crate Box is one of the ports out today. It features fast paced, multiplayer matches, which are exclusive to this version. 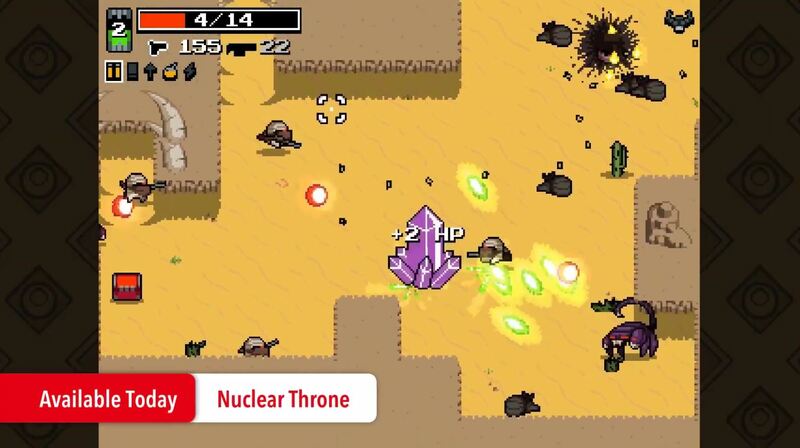 Nuclear Throne is also out today, offering post apocalyptic fun solo or with a buddy. 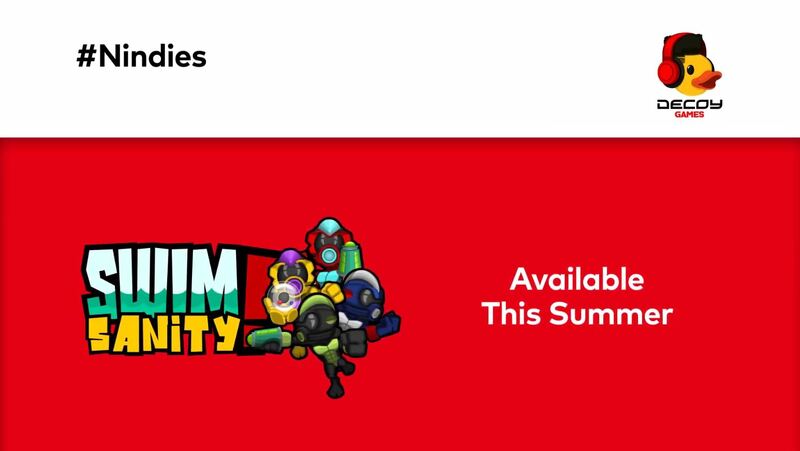 Lastly, the new title is Vlambeer Arcade, which features a growing catalog of bite sized games, including Ultra Bugs first. Think Space Invaders, except you use enemy DNA to customize your ship. Vlambeer Arcade is out later this year. If you like 2D fun in the ocean, you’ll love Swimsanity! It features 1-4 player bouts with humans or bots. This multiplayer underwater shooter has more than 150 challenges, 8 game modes and 5 worlds. Choose classic or motion control and enjoy matchmaking and in-game voice chat. Out later this Summer. When I think indie on Switch, I always think of Inti Creates. Today they announced the sequel to the wonderful Blaster Master Zero, Blaster Master Zero II. It features the Gaia-Sophia tank, a new blast counter mechanic, travelling across the galaxy to different planets and planetoids, new items and even a broad new cast of characters. 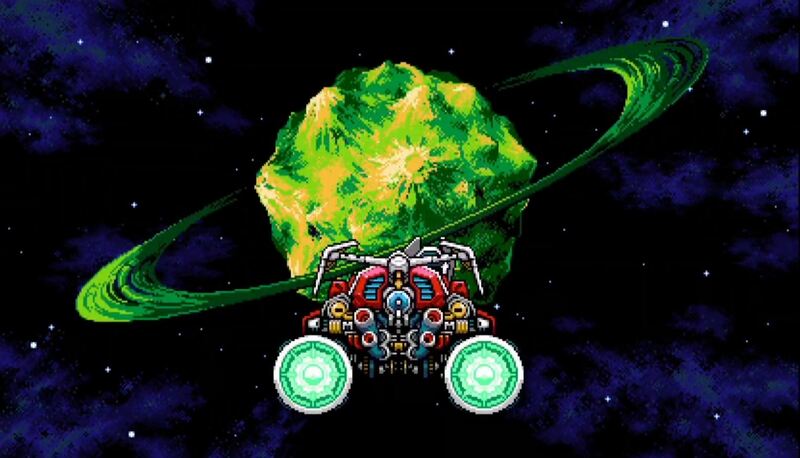 Best of all, Blaster Master Zero II is out RIGHT NOW. I’ll wait while you go buy it. 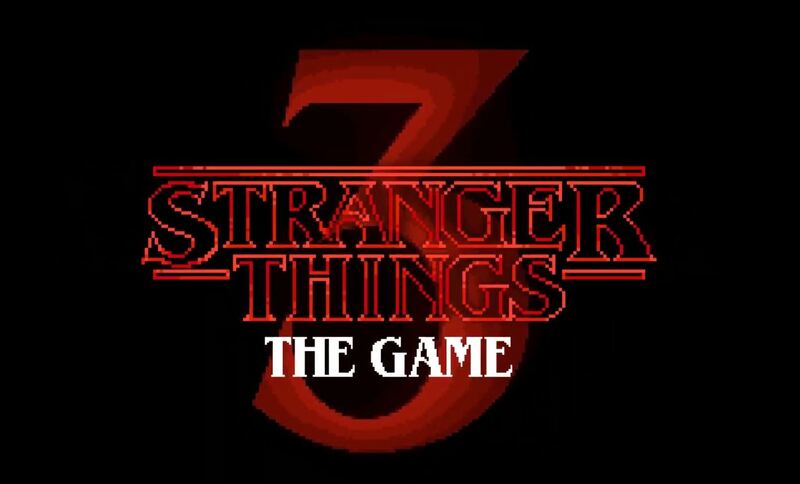 The strangest reveal today was Stranger Things 3: The Game. Not a lot of details were announced for this isometric adventure game, other than local co-op, puzzle solving, and 12 playable characters. What I can say definitively is it releases July 4th which is also the same day that the 3rd season hits Netflix. Count me excited. They saved the best for almost last. At first I thought it was just talking about new content for Crypt of the Necrodancer, but surprise! 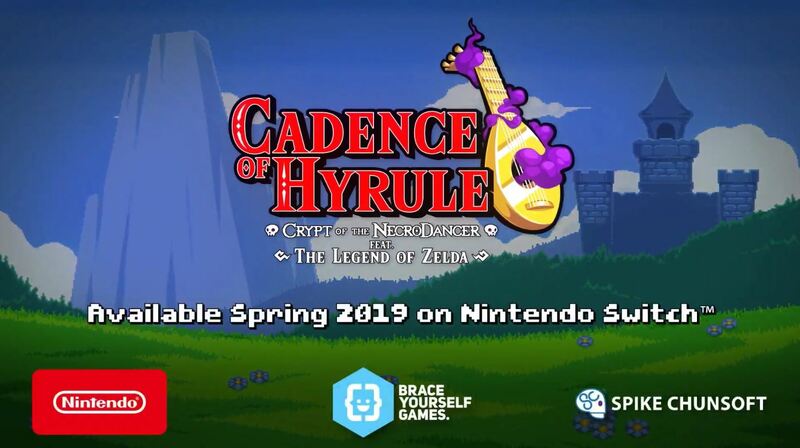 It’s actually a brand new game in that universe called Cadence of Hyrule. Team up with Link and Zelda and fight off the hordes of Gannon and friends. This wonderfully exuberant looking game (which I’m sure will be a console exclusive) is out Spring 2019. The last thing to cover today is that there will be a sale for other indies already on Switch later today. Whew, talk about a ton of new reasons to be excited. Thanks for joining oprainfall for your coverage and stay tuned for more info about these games in the near future!